The team at Eltham Hotel are very gluten free friendly. With gluten free dishes marked on the main menu, 100% of their meals can be made gluten free! Fructose and lactose intolerances are also marked on the menu. The Head Chef is a coeliac understands the gluten free diet well. Please speak to staff about your requirements when placing your order. Choices include a wide range of main meal options including pasta dishes, a selection of entrees and desserts. A Specials Board is available daily, and there's always some gluten free selections included. Gluten free bar meals are also available. 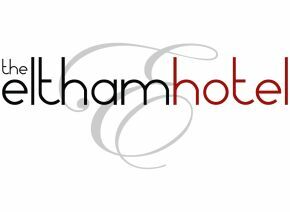 Eltham Hotel is a warm and vibrant setting, ideal for both group functions (phone ahead to discuss your requirements) and intimate occasions. There's a function room for private group bookings, and an engaging children's play area. Open 7 days 12pm-2.30pm (lunch), Sun-Thurs 5.30pm-8.30pm, Fri-Sat 5.30pm-9pm (dinner). Bar meals also available during these hours. On Fri-Sat bar meals are offered all day.